I'm going to go ahead and just say that the Kardashian-Jenner Christmas celebrations this year were the best ever. From fake snow to transform Kim Kardashian and Kanye West's home into a winter wonderland, to John Legend performing, to opening gifts with the entire family, this year was one for the books. Some surprising guests even attended the celebrations, such as Caitlyn Jenner and Sophia Hutchins, as well as Sofia Richie! But with the events being so star-studded, you might not have realized one major part of the family was missing. Tristan Thompson was nowhere to be found. 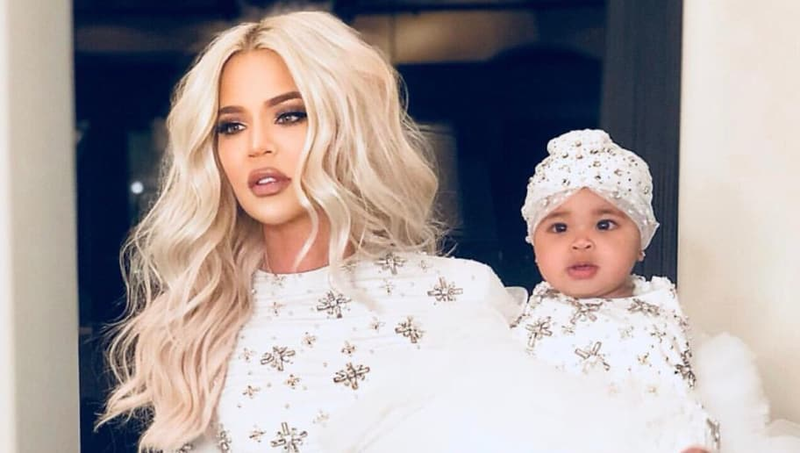 Although Khloé Kardashian spent Thanksgiving with Tristan in Cleveland, it looks like she and their daughter True ditched him for Christmas in order to spend time with her family. According to E! News, with the NBA player having a game on Dec. 23 and Dec. 26, he was unable to travel to Los Angeles to be with the Kardashians. "Khloé wanted to be in L.A. with her family for Christmas," a source tells E! News. "There was nothing more special than seeing True with her cousins on Christmas morning. There was no way she was going to miss the family Christmas Eve party and being a part of opening presents all together on Christmas morning." And despite Tristan not being there, Khloé and True looked like they were having a blast. The 34-year-old reality star took to Instagram to share gorgeous photos of her and her daughter, writing, "True, you make everything so much more precious and memorable!!" Although it would've been special to spend her first Christmas with Mom and Dad, we're sure True had a fabulous time celebrating the holiday with the Kardashian-Jenners.